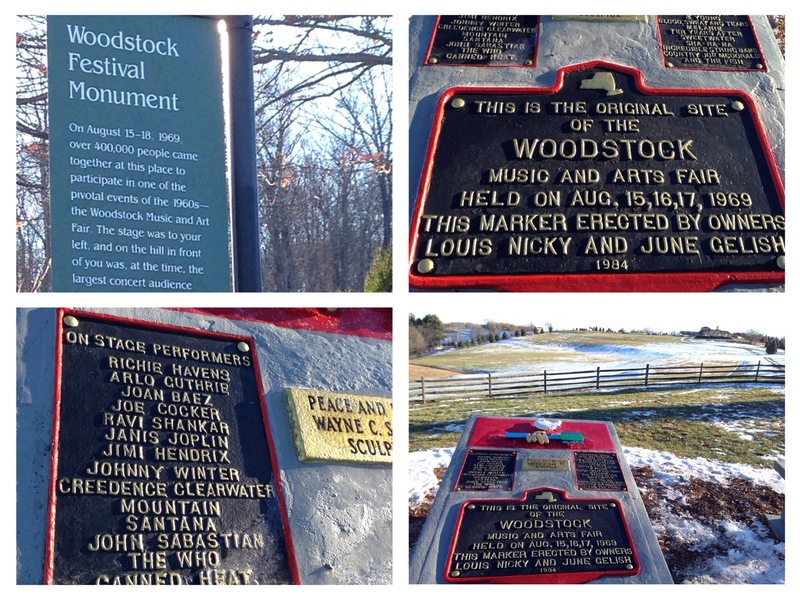 The Great Woodstock- For all you music lovers!!! Turn back time to approximately forty six years ago: in the year 1969- a decade marked by war, civil unrest and above all- activism. Half a million people from around the world found their way to the Catskills in New York- and stayed they did: for three whole days, thus creating history!!! It was a no brainer- we were staying the night at the wonderful Roxbury Motel- you can read about it here- http://wp.me/p1P1aU-yX. There was no way that we were going to miss out on visiting the famous site which was on the way home (yeah I don’t look like the Woodstock types but looks can be deceptive)! The cold wintry morning didn’t stop us from parking our car and joining the throng of visitors heading to the Holiday Market held that weekend, on the grounds of the Museum at Bethel Woods. And if you were present at the original Woodstock in 1969- this is your chance to provide your information and share your story by registering yourself and thus becoming a part of the permanent museum archive! The exhibits at the Museum tell a wonderful story about America in the 1960s- youth, AM radio, fashion, the Civil Rights Movement, the Vietnam War and opposition to it, the Women’s Movement, free-form FM radio, psychedelia, and the evolution of popular music (Check out the Museum’s website for more details). It was something us 90’s kids could actually identify with… (80’s kids maybe)? As one stands here reflecting on days past, you realize this is what music is all about- unlike the music of today- music which is definitely not all about that bass! The gift shop had an array of interesting knickknacks including these brightly colored candles. A little toddler refused to move away until her grandmother agreed to buy her one! The lower level featured this tie and dye tee (which i know we have all admired and probably owned one back in the day)! And let’s not forget the piece de resistance- the gorgeous baby in the lower right hand corner. All said and done- the Husband had a field day… gawking over this. If he was around in 1969 I’m sure he would’ve been part of this!Me- not so sure- I’m OCDed when it comes to sanitation and sleep! 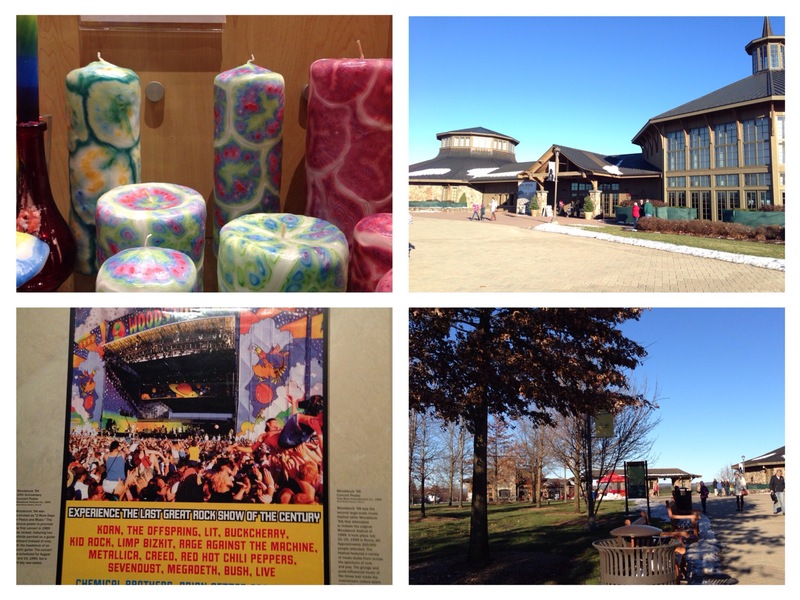 After a short sojourn at the Holiday Market we got back into the car and drove off to the site of the famous festival. Stretching over as far as the eye could see, one could easily imagine this bowl shaped field with green grass and wild flowers, overflowing with the ‘hippees’ of D-day. The plaque as seen above, was erected in 1984, while the huge field also seen above remains preserved. We stood, we gaped, we stared and then finally decided to walk back, while the snow softly fell and the ground was freshly carpeted in white yet again. 1) It was initiated by 4 young men, as a profit making venture. 2) Tickets were initially priced at $18 in advance and $24 at the gate which is equivalent to USD 120- 150 in this day and age. In the end the entire 3 day event was free of charge. 3))Some local residents even provided free food and water when the Food For Love concessions ran out. 4)There have been various anniversary celebrations- albeit nothing that came close to the original one! 5) 2 people died at the festival: A teenager who was sleeping was run over by a tractor, and another died from injuries suffered in a drug-induced fall. Next Ensconced in the heavens. I was at Woodstock but don’t remember a whole lot about it. (A common issue with many of us attending.) The whole idea of ticket collecting quickly fell apart as the grounds were overwhelmed with people. I had actually bought tickets. The New York State Attorney General later made the organizers refund the ticket sales. Since I had held onto my tickets I got a refund. I think it was only partial. While the attendees are reknowned now for love and peace, at the time there where some less loving people there who were reselling their tickets to people just getting off the Thruway and heading into town. Had no idea the museum existed. Will have to give it a visit. It was a time like no other and though many have tried to replicate it, no one has ever come close. Because it wasn’t just the music, it was everything and anything surrounding it. It was a time in history with artists and performances that we won’t see again. Unfortunately, as Ken mentioned, many did not remember most of what went on. Hi George! Yeah I’m sure it just cannot b replicated! Even if many don’t remember most of what went on, I’m sure each person has an interesting story to tell! Take for example Ken n the tickets! I had no idea there was a museum to Woodstock. I’ll check it out if I’m ever in the area. Thanks for sharing! 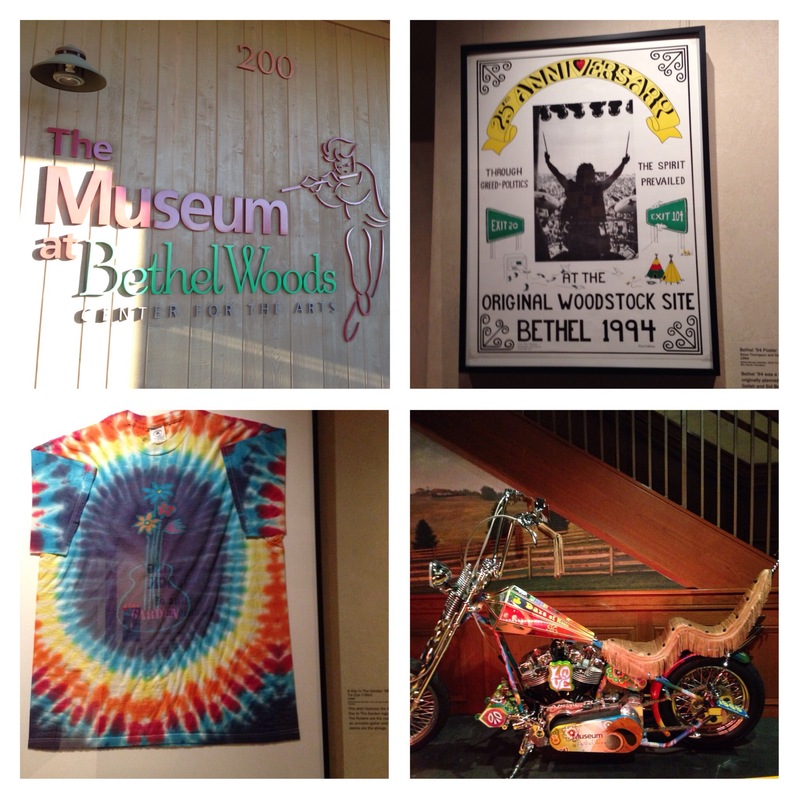 Who knew that their was a museum at the site of Woodstock? Not me that is for sure. Nice read.